It’s another sometimes-weekly minor league review, where we take a look at the various developmental levels of the Phillies’ organization and some noteworthy players from each club. Darin Ruf, the R-Phils’ All-Star first baseman, laced two home runs in Reading’s 4-1 win over Binghamton on Friday, then followed that up with a home run in game two of the R-Phils’ double header on Saturday. The 26-year-old Ruf leads the Eastern League in OPS with a .948 mark. 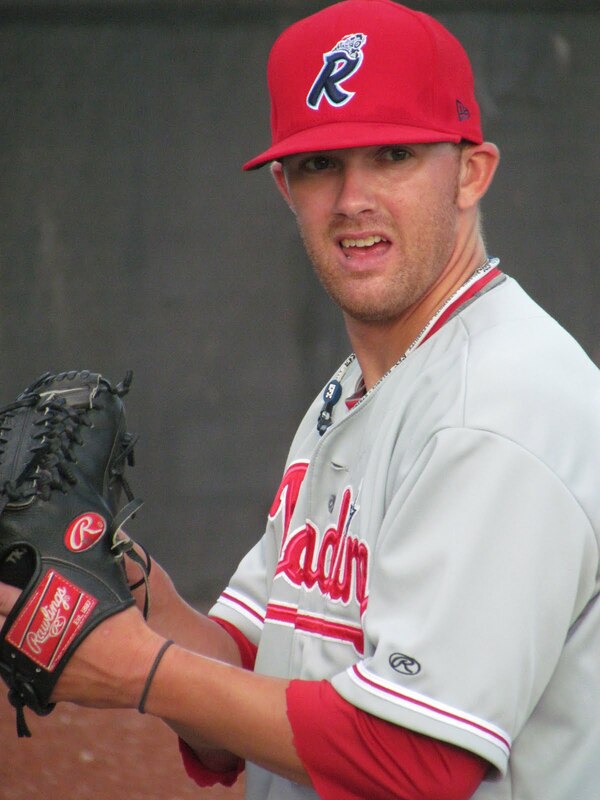 The Creighton University product with the Phils’ 20th round draft choice in 2009. In his two most recent starts, LHP Hoby Milner posted a 2-0 record without allowing a run in two starts dating back to last Saturday. Since making his BlueClaws debut on July 1st, Milner has paired as a battery with former college rival Josh Ludy three times. In those three starts, throwing to a backstop that dominated him with the bat while playing college ball, Milner has not allowed a single run while striking out 14 and walking just five in 17 2/3 innings. Comparatively, in his four other starts for Lakewood, throwing to other catchers, Milner sports a 7.02 ERA with 14 strike outs and 10 walks in 16 2/3 innings. Clearly, Ludy’s mastery of Milner with the bat and his apparent ability to successfully guide the hurler, which I wrote about HERE, is a real thing. Milner and Ludy were the Phillies’ 7th and 8th round draft selections respectively this year.